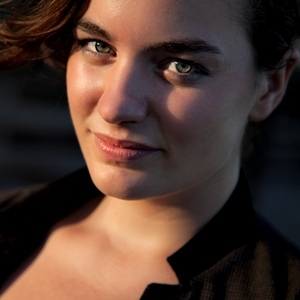 Washington, D.C.-based mezzo-soprano P. Lucy McVeigh is an avid interpreter of early and contemporary music. Some of her recent solo engagements include performances of seasonal German early music with the Folger Consort, David Lang’s the little match girl passion with the Bridge Ensemble, the premiere of Jenny Olivia Johnson’s Sylvia Songs at the National Portrait Gallery, and J.S. Bach’s Vergnügte Ruh, beliebte Seelenlust, BWV 170 at the Baltimore Bach Marathon. She travelled to the Banff Center in Alberta last year to record Jenny Johnson's opera The After Time, and she is the featured vocalist on Johnson's GRAMMY-nominated record Sylvia Songs (Innova Recordings, May 2018). Upcoming engagements this season include Poulenc's Figure humaine and the Durufle Requiem with The Thirteen in October, premieres of three pieces by Boston-based composers at Wellesley College, Handel's Messiah with the Reston Chorale in Washington, D.C. and Holy Trinity in Gainesville, Florida, and early music of England with the Folger Consort in December. She enjoys positions with the choir of the Basilica of the National Shrine of the Immaculate Conception, The Washington National Cathedral Choir, The Thirteen, Cathedra, Chantry, the Washington Chorus, and the Bridge Ensemble. McVeigh holds degrees from Wellesley College and the Frost School of Music at the University of Miami.